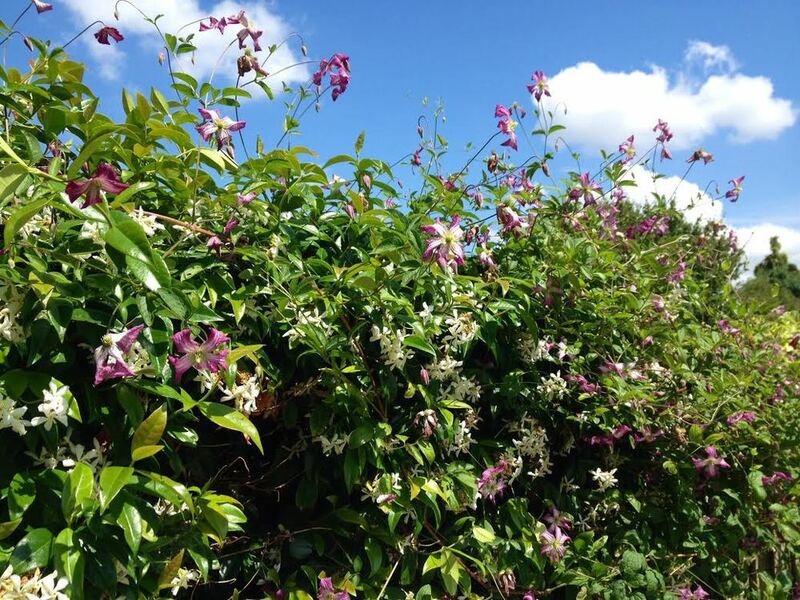 One of the simplest ways to add vertical planting to a garden is to grow clematis. Supported on obelisks, trellis, fences or over an arbour, they add colour and seasonal interest. I like to use the varieties that are cut down to 12" in early March. These are Pruning Group 2 or 3. If they become very scruffy before then, I tend to roughly chop them down in November, and finish the job properly in March. Feed and mulch them at this time, and protect the early growth from slugs and snails. I have never had the problem of 'Clematis wilt' with these varieties, all grown in my own garden. To ensure recovery from this problem, I always plant them 4" lower than they grew in the pot, to allow new growth to flourish, and I cut them to the ground when I plant to encourage strong root growth.